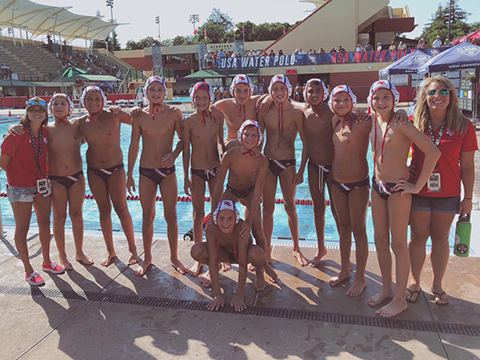 The South Coast youth water polo program is dedicated to introducing the sport, focusing on perfecting the fundamentals, teamwork & competitive sportsmanship. No refunds after A & B teams have been selected. All athletes are required to be in team gear for competitions, team suit, t-shirt and shorts are available in the team store. All South Coast Water Polo players must also be registered with USA Water Polo to participate with South Coast Aqautics.